Are you providing your customers with the very best in point of sale (POS) data security? On an almost daily basis, the news media reminds us of the risks associated with unprotected data as they report on each massive data breach that cost companies billions of dollars in lost value and remediation costs. Data breaches are not a matter of “if”, but more a matter of “when” as hackers get more and more creative. Many CEO’s think that meeting the basic requirements of the Payment Card Industry (PCI) for data protection will keep their point-of-sale (POS) systems from being compromised. Truth is, hacking into retailer POS payment applications is a recurring problem worldwide, even for retailers who meet compliance standards. 1. Know Your Data Breach Risks – Ask the Right Questions! As CEO, security and risk management is your bottom line. You need to know if and how your product development team is following best practices to protect your company and your customers from a data breach. Most payment application vendors offer encryption and key management, however not all of them are following best practices by using an encryption key management hardware security module (HSM). An HSM keeps the encryption key physically separate from the encrypted data, making sure that the data a hacker retrieves from a compromised system is functionally unusable. With tighter security standards for data encryption, encryption key management, and constantly evolving regulations, you have an opportunity to go beyond basic compliance and gain consumers’ trust amid growing concern about the amount of electronic data companies collect, analyze, and share. So, what can you do as a CEO to ensure your products are fully protecting your customers’ data? One important thing to do is start asking more specific questions of your product managers. Asking the right question can quickly expose data protection risks that you didn’t know you have. Where in our systems does sensitive data reside, even briefly, in unencrypted form? Could I get a list? What type of encryption do we use in our payment application for data at rest? How are we protecting encryption keys? Are any of the encryption keys stored on the same server with the protected data? Are we protecting our encryption keys with an HSM? Are we using industry standard encryption and key management? Are our encryption and key management solutions NIST certified? There are really straight-forward answers to these questions. The lack of clear and unambiguous answers should raise an immediate red flag in your mind, and provide the beginning of a deeper discussion about data protection with your product development team. 2. 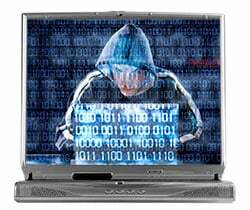 Know What Your Customers Fear– Think Like a Hacker! Awareness is the first step toward point-of-sale security. Retail payment systems are frequently hacked by criminals who are employed seasonally or temporarily, and given access to a system with insufficient security measures in place. Help gain your customers trust by training them on the importance of good password management and system log monitoring as a part of their overall POS security efforts. A surprising number of retailers never change the factory passwords on their POS systems and this is a huge security risk. Not only should factory passwords be changed, subsequent passwords should be changed regularly. Often, cracking a payment application system relies on the merchant being lazy about password implementation and changes. Make sure your customers know best practices and you’ll be their hero! Hackers’ techniques have gotten more sophisticated and they can hide evidence of attacks; going undetected for months or even years. Yet, a study of confirmed breach cases in 2009 found that nearly 90 percent of victims had evidence of the breach in their system log files. Do you train your customers in the importance of monitoring their system logs in real time? 3. Proactive Security Planning - Use Best Practices To Start With! Keeping on top of point-of-sale security is essential for every business. Good encryption and key management is the cornerstone of good security. It can’t be an afterthought at the executive level; data security has to be a critical element in every risk management plan and conveyed well to your customers. An effective data breach plan can mean the difference between a quick recovery and a serious blow to a company’s reputation. The steady pace of data breaches reinforces the need for encryption as a first line of defense. Firewalls and VPNs can provide some protection against data breaches and theft, but there is no substitute for strong encryption and effective encryption key management, especially in customer data and cloud environments. There’s no longer an excuse not to properly protect your POS payment application system and educate your POS system customers in security best practices. It was revealed earlier this month that the St. Louis-based supermarket chain, Schnucks, had a data breach that exposed at least 2.4 million customer credit and debit card numbers to an outside hacker. Schnucks is currently involved in a class action lawsuit over the breach and possible leak of credit card info by its card processing company. The point of sale (POS) and retail management software that retail companies use to process their customer’s card information often use inadequate security tools and minimal security best practices. Data breaches caused by faulty security in credit card processing machines and software are surprising to most people because we expect credit card processing companies to protect our card information and personal data. In fact, credit card processing companies are mandated by the Payment Card Industry Data Security Standards (PCI-DSS) council to use encryption and encryption key management in order to sell their point of sales (POS) devices and retail management software to businesses such as Schnucks. 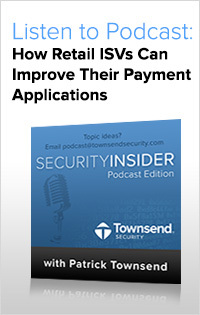 Despite the regulations, however, many POS and retail management vendors pass PCI-DSS audits by the skin of their teeth with data security solutions that have been cobbled together with the bare minimum requirements. If asked if they still felt exposed with their current data security solution, many database administrators will respond with a resounding, “YES.” As we have seen over and over again, these piecemeal solutions are not good enough to prevent a data breach! Just because a merchant or a POS vendor has passed a PCI-DSS audit does not necessarily mean they are protected from a data breach! Even though PCI-DSS is supposed to protect customers and prevent data breaches of this kind, loose interpretations by auditors of PCI-DSS and poor encryption and key management techniques leave businesses open and exposed to hackers. Encryption - Always use industry standard encryption such as AES encryption. Encryption key management - Companies encrypting data should always protect their encryption keys using an encryption key management hardware security module (HSM). This is a critical component to securing sensitive data. System logging - A good system logging solution can help you catch and prevent changes to your network in real-time in order to prevent a data breach. Certifications - Your POS and retail management software provider should have encryption and key management with NIST and FIPS certifications. These certifications ensure that your encryption and key management solution are up-to-date with the highest standards. Unfortunately, these days passing a PCI-DSS audit is not enough. Merchants and retail software vendors need to stay ahead of the game by using data security tools that are going to protect their customers and protect themselves in the event of a data breach. The bare minimum will not cut it. Townsend Security is a leading provider of encryption, key management, and system logging solutions. We partner with POS and retail management ISVs to help these companies protect and secure sensitive data fast, easily, and at a competative price. Here at Townsend Security our team works with our partners by providing hardware, training, marketing materials, and thorough back end support to help our partners and their customers achieve peace of mind.